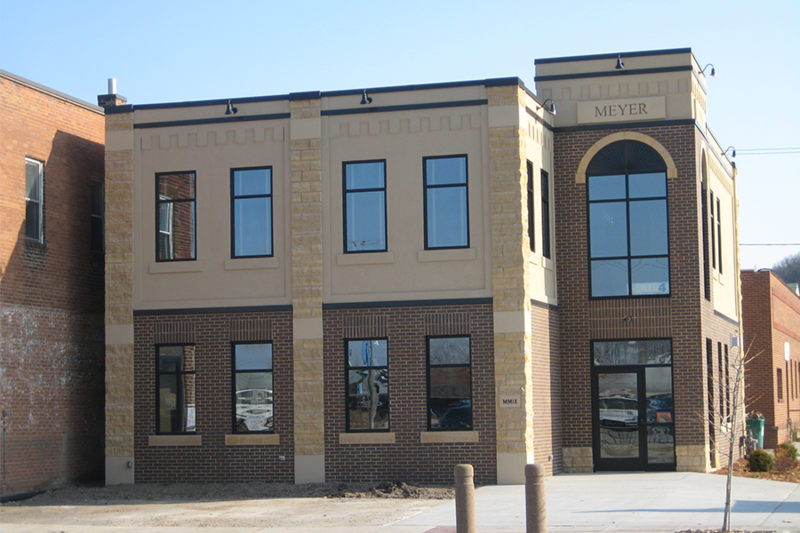 Addition to an existing building (existing structure not shown in image) for the Corporate 4 Insurance Company. 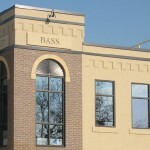 A three level wood frame construction consisting of office spaces and support areas. 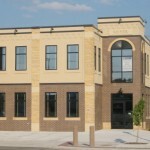 The project removed an existing one level office space, and kept the two car existing garage intact. The garage area is utilized for car inspections during an insurance claim. The location of the project in in the heart of Old Town District. 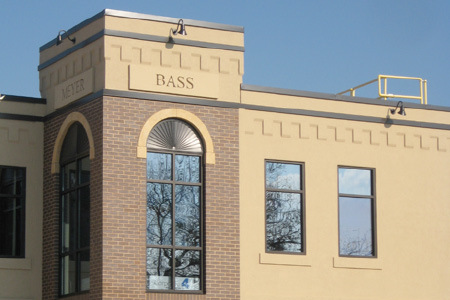 The City of Mankato has Zoning and Planning restrictions regarding the exterior materials. Being in the Old Town District, the exterior materials must have 80% stone, brick, glass or other similar materials and only 20% of Stucco. 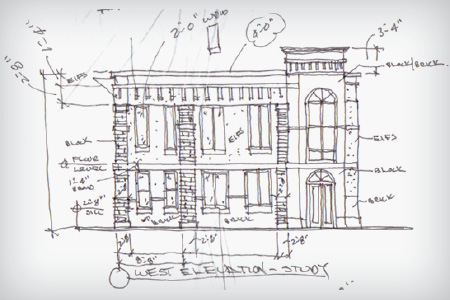 The sketch above illustrates incorporation of adjacent historic building proportions in terms of window widths to heights, as well as the height of material changes. I met with the building official to work through building code related concerns. 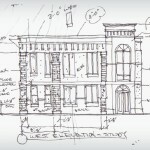 The schematic design office floor plan was provided by the owner. 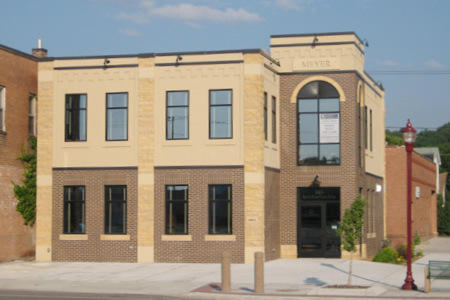 This building was not a hard-bid project; the general contractor was R Henry Construction, Mankato MN. The MEP was completed on a Design-Build format.